Designed to address the burning questions surrounding the industry, this brand-new stage features content, strategies and ideas for visitors to take back to their own places of work. Current and future trends including Brexit, staff retention, culinary medicine, guest experience, sustainability, the sugar tax and allergens will all be up for debate. Guest hosts include Giles Looker, Mark Hastings and Guillaume Marly, while the Government Night Czar, Amy Lamé, will talk about her task of preserving London’s thriving night time economy. Alongside this, three of the UK’s largest training and HR experts – People 1st, HIT Training and Pearson – will demonstrate how the apprenticeship could in fact boost the bottom line. Rohini Bhattacharya, Pearson’s Head of Apprenticeship Services, Annette Allmark, Head of Apprenticeships at People 1st and Paul Mannering, Academy Principle at HIT Training are all in the hot seats. Meanwhile, BHA Employment Policy Advisor, John Guthrie, will examine the impact that Brexit may have on immigration law, in addition to proposing his ten-year strategy for the industry as a whole. The final day of Hotelympia 2018 – Thursday, 8th March – is Women in Hospitality day, featuring a programme of content celebrating inspirational female talent. As part of this, Tea Colaianni will present Hotelympia’s Women in Hospitality 2020 Review, an initiative which aims to achieve 33% female leadership roles in hospitality, travel and leisure by 2020. The Launchpad will also play host to Hotelympia’ s Women in Hospitality day, with Emily Roux discussing being part of one of the world’s most celebrated cooking dynasties. And the 2017 Great British Menu winner, Pip Lacey, will be on hand to talk about Hicce, her new solo venture which opens in the spring. This stage presents the ideal opportunity for visitors to stay up to date with the latest hospitality technology, including innovations in mobile, social media, online reputation management, point of sale and the latest in guest room technology. Gary Goodman, founder of data house, Yumpingo, will introduce a food intelligence platform crunching data for the benefit of the restaurant trade. With patrons including Jamie’s Italian and Wagamama, the one-minute review customer survey comes with the bill on a branded device and captures all the details that polarising one-to-five-star online reviews tend to miss. Gary will also be on hand to explain how the platform can work for other hospitality businesses. And special panel celebrating women’s growing contribution to the tech sector will mark Hotelympia’s Women in Hospitality day. Rosa Montero, CEO of Wanup, joins Caroline Dunlea, director of Core Optimisation and Ariana Pampoulides, director at Hotec. 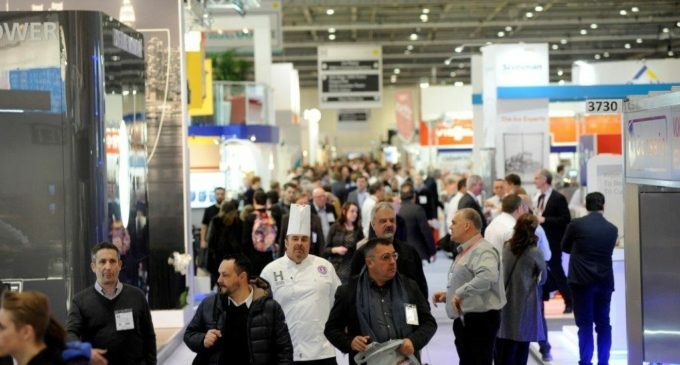 Hotelympia 2018 takes place from 5th-8th March 2018 at ExCeL London. Visit www.hotelympia.com for more information and to register.